20 years after being released, this song is still one of my favorite hip-hop tracks to just straight up CHILLLLL out to. Slow blogging season. 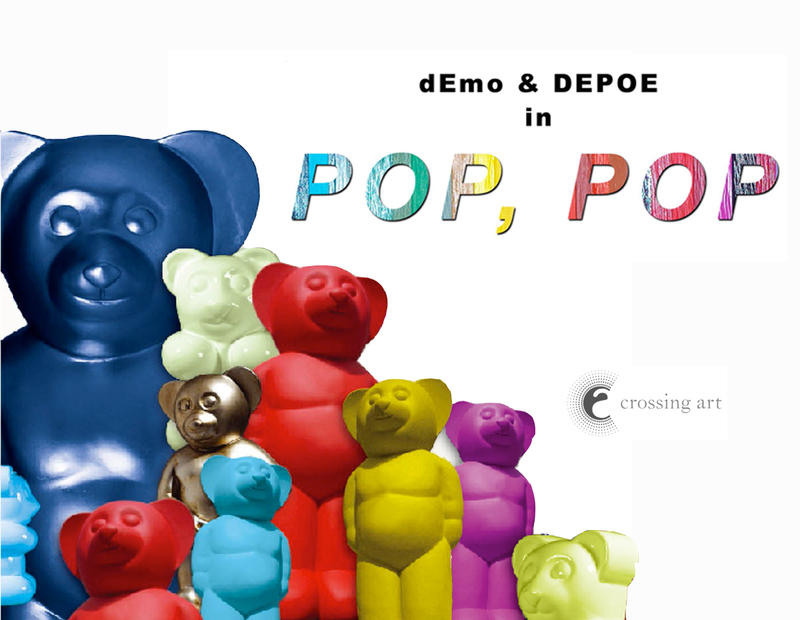 More soon. For now, a few classic tunes..
*thanks to Mark for always showing me the newest ish. 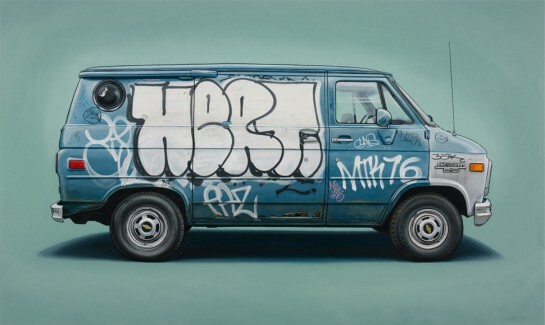 Cool oil painting by Kevin Cyr. 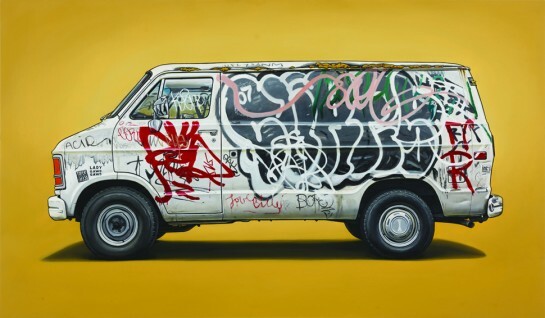 A NYC van, complete with rust, dents, and graffiti. And upon close examination… ALONE and NET marker tags (under a paint tag) on the door. Haha.. New York City! 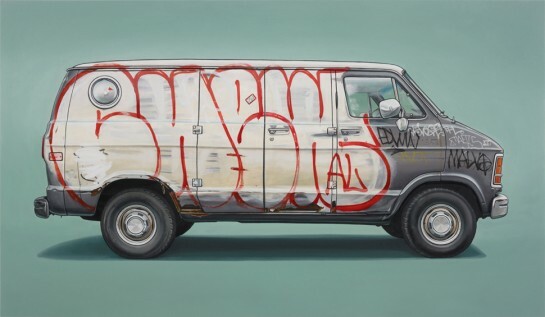 NEW YORK, NY (April 3, 2012) — Jonathan LeVine Gallery is pleased to announce In Praise of Rust, a series of new oil paintings on panel by New York-based artist Kevin Cyr, in what will be his first solo exhibition at the gallery. 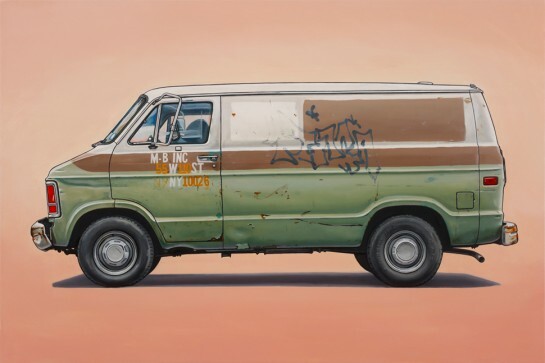 In Praise of Rust features paintings of old vehicles seen on the streets of New York—primarily vans and commercial delivery trucks—covered in graffiti, rust, scratches, scuffs, dents and other marks of distinction. Cyr includes a meticulous level of detail in his portrait-like representations with devoted attention to every imperfection and sign of age. Removing the context of the urban landscape, he places a strong focus on his subjects by isolating them in fields of flat, solid color. Common themes in Cyr’s larger body of work have included mobility, sustainability and self-reliance. Referencing consumer culture and the fuel/energy crisis, these paintings offer a subtle commentary on how rapidly the technology of our generation becomes perceived as obsolete, amid an increasingly unstable and uncertain climate of economic and environmental issues. Kevin Cyr was born in 1976 in Edmundston, New Brunswick, Canada. He grew up in Madawaska, Maine and received a BFA from Massachusetts College of Art in Boston. Cyr is currently based in Brooklyn, New York. His paintings, drawings, sculptures and installations have been exhibited by galleries and museums, internationally. In March 2012, Cyr’s work was the subject of an article in The New York Times. 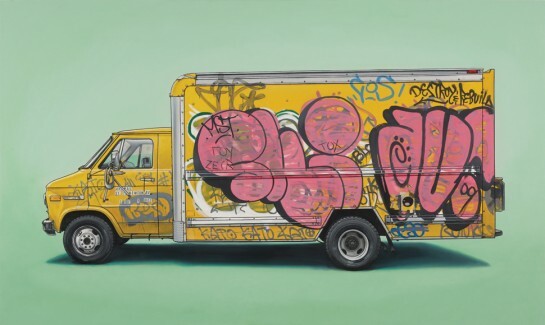 Cyr was recently interviewed by fellow artist Dan Witz for a feature that will appear in the May 2012 issue of Juxtapoz, and the May 2012 issue of NYLON Magazine will include a story on Cyr, as well. Depoe… on a ladder, on scaffolding, on cynder blocks, on a picnic table. 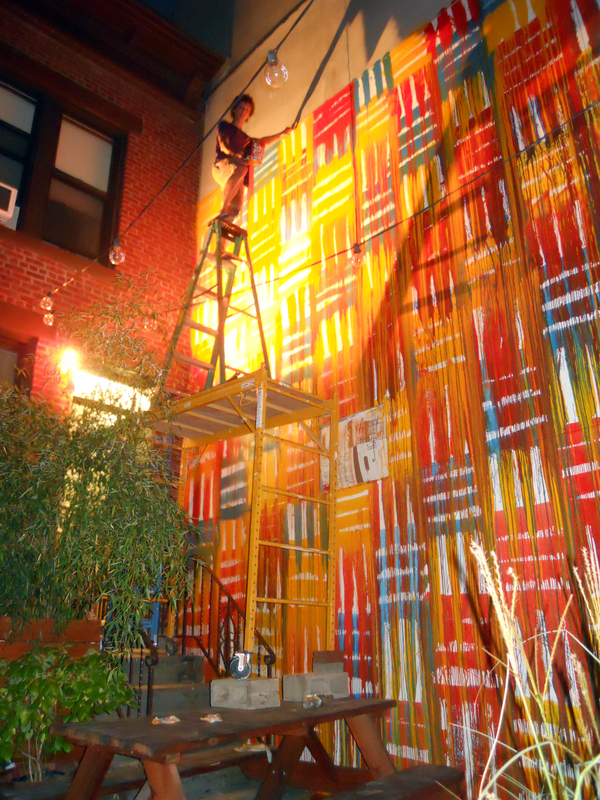 Brooklyn, 2009 FTW!